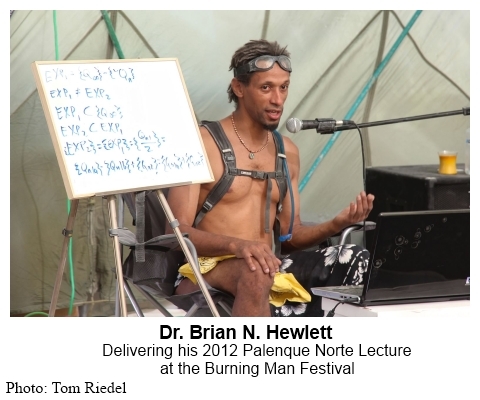 Dr. Brian Hewlett “Understanding the Default Process of Consciousness” – Burning Man 2012 from Palenque Norte on Vimeo. I ran a background check on this speaker, suggest you do the same. What happened to that epic series of fresh McKenna tapes? Hey lorenzo, what do you think about posting the audio from this up on the salon? anybody have comments on colorado’s and washington’s historic firsts? and/or what the feds will or won’t do? I don’t claim any special insight into government policy but I think that it will follow the same trend as medical marijuana has. The DEA will likely do some big raids to get in the papers and convince the more gullible Americans that they are still doing something, however ineffective it is towards their goal of limiting the freedoms of the masses. I think a full scale shutdown would be a PR disaster, wake a sleeping beast, and generate even more sympathy and support for legalization. While I may think that the DEA is full of jerks, they aren’t stupid. It’s the same reason they aren’t going after MHRB. They know a war on clothing dye isn’t exactly a smart idea. good blog, i liked it. great reasoning. makes persuasive sense. sounds like they’re stuck with an unintentional (?) fence-riding. Hu… I don’t know about the “historic first” but… you have a man in the white house who used the “herb”…. everyone knows that from Bush to Clinton did also. Come on, everyone did it. We all know there is nothing to it, and it is better than having a stupid drunk on your hands. The gov. policy makers know we know why it is really illegal. It’s a money machine. But, they are going to have to make it legal across the board. Holding people in jails for using it is just stupid. What we need to do is market it & tax it. We could make so much more money if we were above board on it. It’s just the right thing to do (we all know it) and they do too. This was one of my favorite talks on the salon for a long time! Great work Hewlett!! evaluation of the hallucinogenic drug-experience. order for them to discover a more profound and broader understanding of the mind and human consciousness. and to ultimately improve humanity’s cure to mental illness and even solve life’s mysteries. An attempt at a philosophical evaluation of the hallucinogenic drug experience. It seems to me that the well-established properties of the hallucinogenic drugs might be well employed to enable us to explore this far-off land, which is in effect our subconscious mind.